If you have been invited by the bride herself, then you can choose to send her a special something. 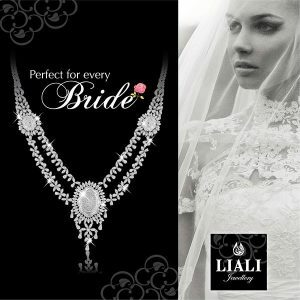 A LIALI Jewelry gift voucher is a great option for the bride-to-be as their range of items will make her shine and sparkle on her honeymoon and on other occasions during their marriage. Wedding planning is especially stressful for the bride! So, how about offering the perfect spa getaway with an online gift card from SpaCORDON? Here, she will forget about all the frustration of planning the wedding and indulge in ultimate relaxation. On the other side, the groom will also need a gift! With a Plug Ins gift card or Sharaf DG gift card, he can decorate his new home with the best home appliances and electronics from the best brands on the market. It’s an electronics lover’s paradise! Alternatively, you can offer him an opportunity to join Dubai’s surf community with an eGift card from The Surf House. With this gift, he can learn the basics of surfing, and even Yoga, and buy the best swimming gear from brands such as Quicksilver and Roxy. Finally, you might want to choose a single gift for both of them, a gift for the couple. In this case, there are several options to choose from. If you would like to contribute to their honeymoon, then select the Musafir.com gift card or Dreamdays gift card with which they can travel anywhere in the world. Another option for the couple is an online voucher from Loomi Photography. Not only will they take amazing pictures of the newlyweds, these pictures will last a lifetime. This is a memorable gift that will stay with the couple for a very long time. Now that the couple is going to live together, both of them need to learn how to cook! This can be done with a gift voucher from Top Chef with which they can learn the recipes for delicious dishes from the chefs themselves and cook them on a night in. This is a wedding gift Dubai-dwelling couples will definitely love! 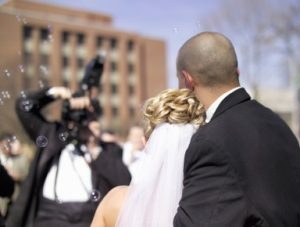 Some gifters believe that couples prefer monetary donations than items that they will not use and some couples create a wedding registry in which guests can send money or gift cards. 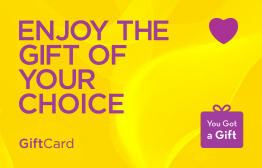 This can also be done on YouGotaGift.com and is the perfect way to give the happy couple the gifts that they want. You will never run out of wedding gift ideas in Dubai (and other locations in the region) on our online gifting platform. In addition to the options mentioned above, there are plenty of others that will amaze both the bride and the groom. This entry was posted in Weddings, YouGotaGift.com and tagged Wedding Gift Ideas, Wedding Gifts in Dubai, Wedding Gifts Dubai on November 30, 2016 by Maria Najjar.